Get connected as low as $14.95 per month with EarthLink internet. EarthLink Internet For Only $14.95/Mo! Searching for an internet option that nearly anyone can afford? With EarthLink internet, you’ll enjoy fast, reliable and affordable internet starting at only $14.95 a month! 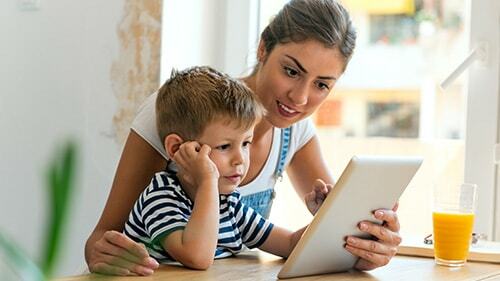 Whether you’re on a fixed income, have a tight budget, looking to save some money or simply need reliable internet at home for the family, EarthLink can deliver. With EarthLink’s HyperLink and DSL internet plans, there’s a plan for every family. To find the EarthLink internet plan that’s right for you, call 1-844-811-1925 today! Download Speeds Up To 75 Mbps! Free 30 Days Of Norton Security Online! Today is a good day to switch to EarthLink internet service! EarthLink DSL and HyperLink internet plans feature speeds ranging from 3 Mbps to 75 Mbps depending on where you live! 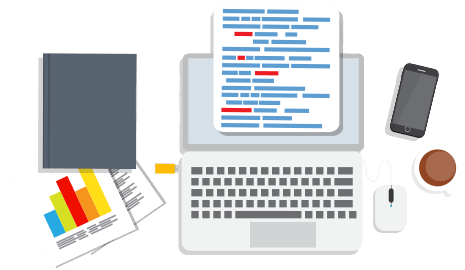 Plus, EarthLink subscribers enjoy professional installation, 10 free email accounts, access to 24/7 technical support, free 30 days of Norton Security Online, free 30 days of Norton WiFi Privacy, free 30 days of EarthLink Online Backup and more! Call 1-844-811-1925 to make the switch to EarthLink internet today! Free 30 Day Trials Of The Best Security Software Tools! Subscribing to EarthLink internet service and need Wifi in the house? 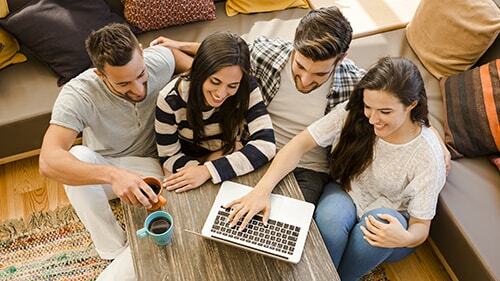 Having EarthLink Wi-Fi at home ensures all of your devices and visiting guest devices can connect and use your internet service without wires or cords. 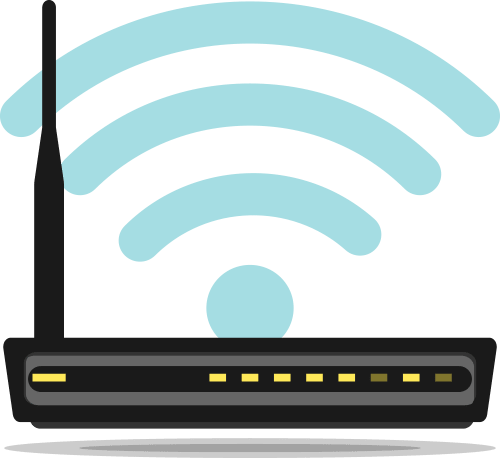 View our top wireless router picks from 2019 that are compatible with your EarthLink internet plans here. Tired of paying a $6.95 a month lease fee for an outdated EarthLink modem? See our top modem picks for 2019 that are compatible with your EarthLink internet service plan here. All your questions about EarthLink internet service have been answered! See all of our frequently asked questions regarding EarthLink internet service here. 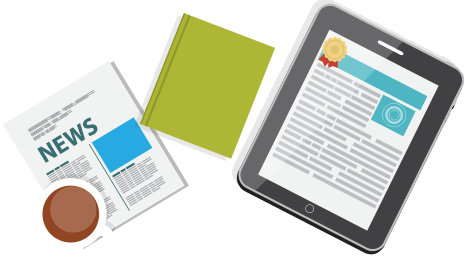 Is EarthLink internet right for your family? Get all the details on EarthLink internet service from plans, speeds, coverage, availability and technology. Read our full in-depth review of EarthLink internet here. Internet prices start as low as $14.95 a month! EarthLink has DSL and cable internet with several different internet plans depending on where you live. There are twelve plans to choose from; 3 Mbps all the way up to 75 Mbps! With these plans, there’s a plan to fit every family’s needs and budget while receiving quality internet service. Whether you’re looking for a budget friendly internet plan or one with fast reliable speeds, EarthLink has an internet plan for you. To find out address specific internet plans and prices call 1-844-811-1925 today! Internet Service As Low As $14.95 A Month! EarthLink HyperLink internet has speeds up to 75 Mbps for only $39.95 a month! That’s less money per month than EarthLink’s competitors. Plus, there are no data caps and no speed throttling to worry about! You can stream, play and download all your family wants without worry of added fees or slower speeds. EarthLink HyperLink is a cable internet connection delivering faster speeds than its DSL internet plans. There is no home phone or TV service is required to subscribe to EarthLink HyperLink internet. EarthLink HyperLink internet plans are still relatively new and availability is limited depending on where you live. 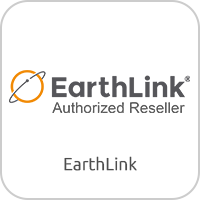 Call 1-844-811-1925 to see if EarthLink HyperLink is available in your area today! Perfect For Streaming Video & Sharing On Social Media! Internet Speeds Up To 75 Mbps! EarthLink DSL internet plans are available nearly everywhere where EarthLink internet is available. With these plans, it is DSL internet connection with internet speeds up to 15 Mbps for only $14.95 a month! There is no home phone required to subscribe to EarthLink DSL internet. These speeds are great for casual internet users who like to surf the web, use email, shop online, chat with friends and more! If your family needs faster speeds or higher bandwidth; EarthLink HyperLink internet plans may be better for your household. Perfect For Casual Internet Users! No Home Phone Required For EarthLink DSL Internet! EarthLink Internet Speeds Up To 75 Mbps! Enjoy blazing fast internet with speeds up to 75 Mbps with EarthLink! Stay connected with friends, family and things that matter the most to you. 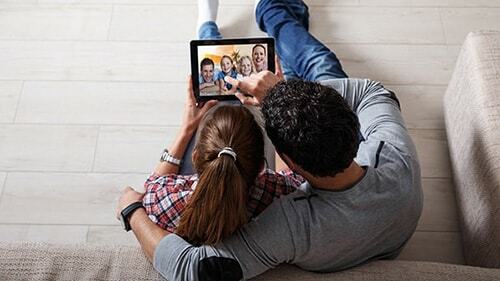 With speeds up to 75 Mbps your family can stream video, play online videogames, share away on social media and more! 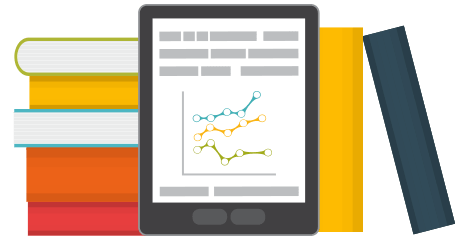 EarthLink internet has a plan for nearly every family’s needs and budget. 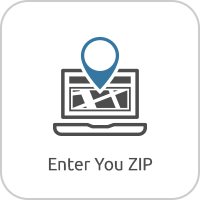 Call today to see if EarthLink HyperLink is available in your neighborhood! Great For Families That Need Faster Speeds. EarthLink internet plans start at 15 Mbps for only $14.95 a month! There are multiple plans to choose from depending on where you live. All EarthLink internet plans are affordable with various internet speeds to fit your family’s needs. With EarthLink internet, there is no home phone or TV service required to start service. You can still enjoy EarthLink DSL or HyperLink internet by itself if you choose to go without or with a different provider for home phone. EarthLink will not force your family into services you do not want or need. Call 1-844-811-1925 to subscribe to EarthLink internet today! Internet Only Plans Are Available! No Phone Or TV Service Required To Subscribe To EarthLink Internet. EarthLink internet is available in 41 states across the country including New York, Florida, Texas, California, Colorado, Indiana, Ohio, North Carolina and more! EarthLink is available in rural, suburban and urban areas. EarthLink DSL and EarthLink HyperLink internet plan availability varies by location. 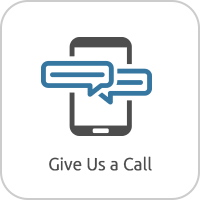 Call today to see if EarthLink is available at your address today! EarthLink Is Available In 41 States. Call 1-844-811-1925 For Specific Address Availability! Windstream Communication’s merger with EarthLink is closed, but no worries current and perspective customers! EarthLink will remain EarthLink, but now even better with the help, technology and support of Windstream. EarthLink internet will remain available in most areas throughout the country. Call 1-844-811-1925 to subscribe to EarthLink internet service today! EarthLink Is Now A Part Of Windstream! EarthLink Internet Is Available In Most Areas. earthlink	Overall rating:	4.6	out of 5 based on 27	reviews. We’ll find great providers available for you in your area. Select from the many packages available in your area. We'll help you order the very best service package for you. 3-MONTH PREPAY This is a pre-paid plan for 3-months of service and is non-refundable. Offer good for a limited time to new subscribers only and not good with any other offer. Must pay with credit or debit card or bank draft. Standard monthly access fee applies thereafter (currently $24.95). Cancellation must be requested by phone, US mail, or fax before the next billing period begins to prevent further charges. Service not available in all areas. Access fees, taxes, and other fees and restrictions may apply. To learn more, review the EarthLink Internet Service Agreement. * Offers good for a limited time to select new EarthLink High Speed Cable subscribers only. Offer not available to current Charter Internet customers. Offers vary by location and by the plan you select. Introductory $44.99 promotional price not available on all plans. Enter your serviceability information for complete offer details available in your area. ** EarthLink may charge extra for taxes, certain fees, shipping and handling, and additional equipment. Lease or purchase of an approved modem may be required. An Internet modem lease fee may apply. Regular monthly rate may not include per month modem lease fee. Cable provider may charge for additional installation services. Other restrictions may apply. Service not available in all areas. Offer details – Installation: $69.95. Use of EarthLink provided modem with Wi-Fi is required. An additional modem fee of either $6.95 per month or a one-time fee of $74.95 will apply. Term Commitment (contract): 12 months. Early Termination Fee: Up to $200.00. HyperLink requires a professional installation. Please check your email regularly for important information regarding your HyperLink High Speed service installation. This process will take about 5 to 10 business days. Offer is good for a limited time. Service not available in all areas, call to check availability. Offer available to select new EarthLink High Speed subscribers only. EarthLink may charge extra for taxes, certain fees, shipping and handling, additional equipment. Call for pricing information, speed and availability. Cancellation must be by phone, US mail or fax before the next billing period begins to prevent further charges. Other restrictions may apply. **Speed comparison based on 1.5 Mbps DSL. *Prices, packages and speeds are subject to change based on availability in your area. **Call today for terms and conditions on all TV and Internet bundles. Copyright © 2019 Internet Near Me. All Rights Reserved.